Motel 6 is synonymous with honest, comfortable, no frills lodging at rates that won’t eat into your sightseeing and craft brew budget. And when you’re visiting Bend, that’s a very good thing, because there is so much to do right outside your door. For outdoor enthusiasts, great golf is just four miles away and Riverbend Park, with walking trails, a huge lumbermill-themed playground, river access, and wildlife watching, is only a mile down the road. Just down the river from the park is the Old Mill District, which is filled with fantastic shops, restaurants, bars, and a 16-screen movie theatre. And downtown Bend is less than two miles away for those who want to take a brewery tour, shop some more, or take it easy in Drake Park. 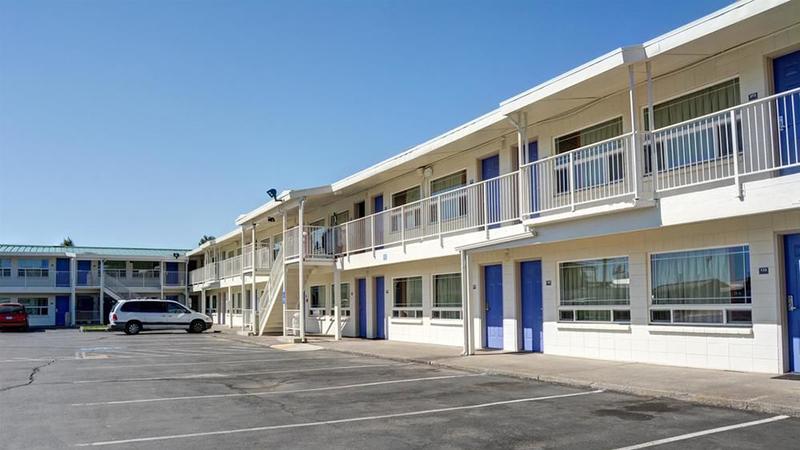 Motel 6 in Bend offers king, queen and double queen rooms and each is equipped with a flat screen TV, microwave, mini refrigerator, free Wi-FI, and free expanded cable. Other motel amenities include free morning coffee and a heated outdoor pool, operated seasonally.